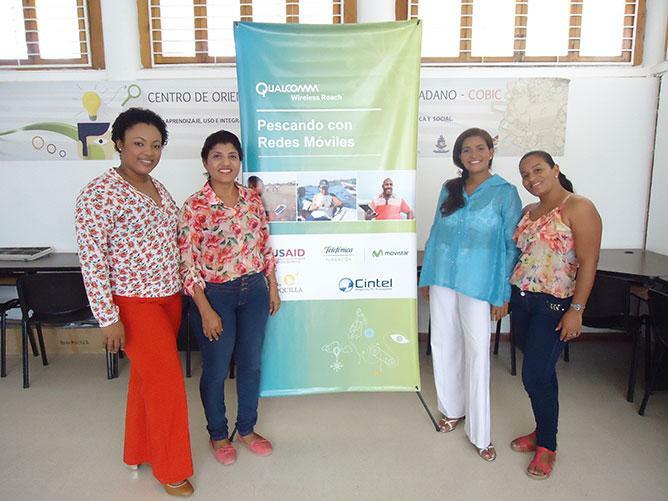 Colombian women from traditional fishing communities are leading the effort in the adoption of mobile technologies and a path to a better future in our Qualcomm® Wireless Reach™ Fishing with Mobile Nets program. Adapting best practices and mobile applications created for a similar Wireless Reach-funded programs in Brazil and India, Fishing with Mobile Nets uses 3G- or 4G LTE-connected tablets and smartphones, digital content and a virtual community platform to promote economic and social development in several vulnerable fishing villages. This year, Entrepreneur Magazine highlighted Fishing with Mobile Nets in an article titled 5 Things Entrepreneurs Can Learn From Fishermen. The program is featured in an in-depth video and the article identifies tactics learned that can be applied to any entrepreneur. What I love most about this program is how women from the communities—many of which are teachers and business leaders—are driving the transformation. Through this program, we are training women how to use mobile devices and customized apps to support mobile education, safe fishing, improved business practices and the development of economic opportunities. In turn, the women are training fishermen, women and students throughout their communities on the use of mobile devices as well as information and communications technology ICT. They’re creating social and economic opportunities that were previously beyond this population’s reach. They’re having a positive impact and, in doing so, they’ve gained the respect, admiration and gratitude of the adults and children in the community. Colombia’s Minister of Information and Communications Technology (MINTIC), David Luna Sanchez, continually points to this program as a model of how mobile technology can have a positive impact on social and economic development. The women take great pride in this national recognition. In the year since Wireless Reach, CINTEL and Fundación Proboquilla launched Fishing with Mobile Nets, it has expanded from one community to three. This year, with help from Telefonica Foundation, USAID, and MINTIC the number will grow to five communities. I am very excited about the project’s growth and inspired by these women and their roles in advancing their communities!